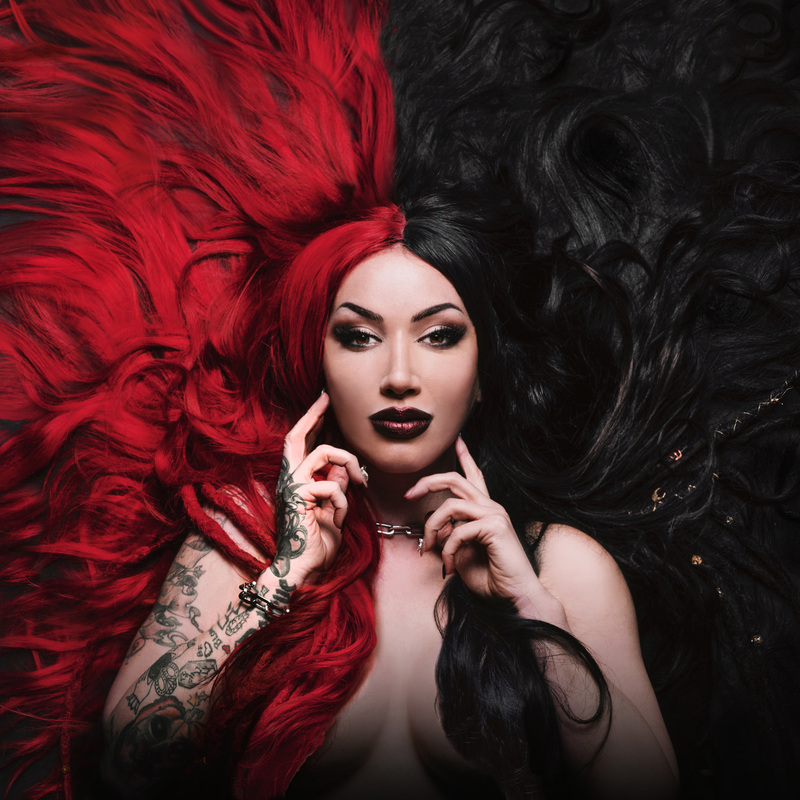 Billboard charting rockers NEW YEARS DAY release their new track “Come For Me” today. Check out the official lyric video for the track HERE. This is the third release off of the band’s highly-anticipated album “Unbreakable” out on April 26 via Century Media Records/RED MUSIC. 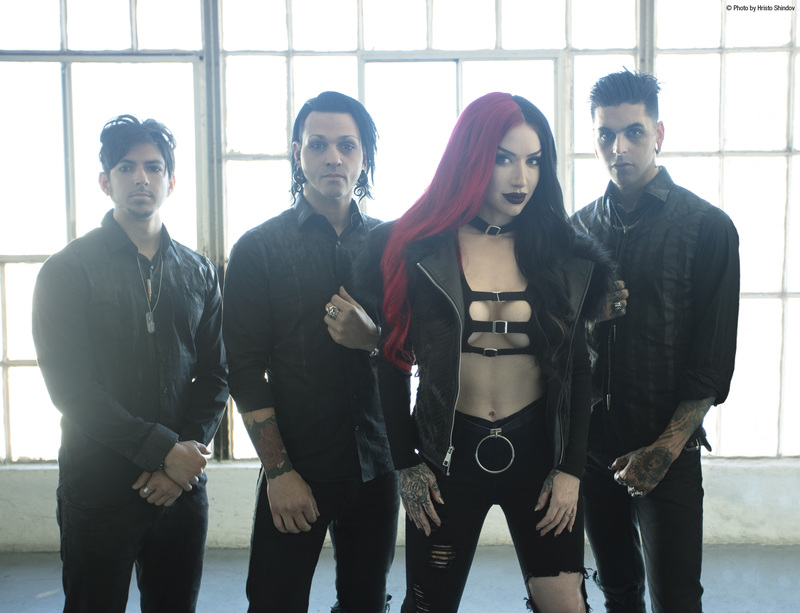 “Come For Me” follows the band’s previous releases “Shut Up” and “Skeletons”, which have both solidified NEW YEARS DAY’s position as the band to watch in 2019. “Shut Up”, is Active Rock radio’s #2 greatest gainer on the chart, jumping from #44 to #26. “Shut Up” is currently featured on Spotify’s “Rock Hard”, “Heavy Queens”, “New Metal Tracks”, “New Noise”, and “Fierce Femmes” playlists along with Apple Music’s Breaking Hard Rock” playlist and Amazon Music’s “Rock Scene”, “Brand New Music”, and “Fresh Hard Rock” playlists. The track has over 500,000 total streams. Topping it off, the band’s debut track, “Skeletons”, off of Unbreakable, has raked in over 3 million streams and counting. Listen to “Skeletons” HERE. “Unbreakable”, NEW YEARS DAY’s 4th studio album was produced by Mitchell Marlow (All That Remains, In This Moment) and Scott Stevens (Halestorm, Shinedown & American Authors). “Unbreakable” is the follow up to the band’s 2015 LP, “Malevolence”, which hit #45 on the Billboard 200, thanks to the radio hits “Defame Me” and “Kill Or Be Killed.” The pre-order for “Unbreakable” is available HERE. NEW YEARS DAY will be hitting the road this month with Falling In Reverse as support on the band’s U.S. tour. The tour will kick off in Las Vegas on April 20th and will wrap on May 24th in Los Angeles. Tickets are available for purchase from https://nydrock.com. Formed in Orange County, Calif. by Ashley Costello, NEW YEARS DAY shook the scene with their Century Media debut, “Victim to Villain”, in 2013 featuring their breakout single “Angel Eyes.” The five-piece later cemented their place in the heavy music landscape with their “Epidemic”-EP and critically-acclaimed “Malevolence” full-length in 2015, clocking more than 20 million views on YouTube. The band has since become the most visually-captivating group in modern rock, playing for millions of fans around the world, sharing the stage with Ozzy Osbourne, Halestorm, Nine Inch Nails, Escape The Fate, Hellyeah and Five Finger Death Punch while also headlining the longest-running touring festival, Vans Warped Tour, in 2017. As new challenges and new worlds beckon, the band released their most recent EP, “Diary of a Creep”, in January to pay tribute to the artists who shaped them thus far. The EP featured renditions of Garbage’s “Only Happy When It Rains,” New Order’s “Bizarre Love Triangle,” No Doubt’s “Don’t Speak” and their original track “Disgust Me”.